● Check out Today’s Deals for deep discounts on thousands of PC games, controllers, replacement cases, and software packages. Many items are priced as low as £0.99. ● Shipping within the UK for orders over £30 is free, while a flat £2.99 delivery fee applies to orders below this amount. Shipping to other countries is priced per item and starts at £3.99. 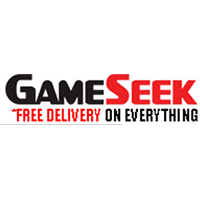 ● GameSeek regularly offers coupons, usually for £1-5 off minimum purchases of £22-50, free gifts, or price reductions on featured games. These coupons are sometimes issued via GameSeek’s Twitter page. ● GameSeek offers a 100% Money Back Guarantee, which lets you return any unopened item within 14 days of receipt. ● Visit the Competitions page to view the latest prize giveaway and get a chance to win free stuff like arcade sticks, video games and special goodie bags. Gameseek is a website that sells games for the most popular game systems. Visitors can shop for game system, category of game or use the search box to find games that are being sold on the site. There is free delivery on all items. Lists of the most popular games are listed on the left side of the landing page when visitors click on the name a link opens to the product description. At the bottom of the landing page there is a link to today's deals that navigates to specials of the day. This site also sells game consoles. For most up to date offers check out Gameseek on Facebook and Twitter or contact Gameseek Support for any questions.